The semester comes to an end today. It’s the halfway point. It’s exciting, terrifying and also a weight off my back because we could all use a break. Breaks are great. It’s what drove me to rewatch CBS’ Elementary. It was a great distraction as I got through the last few writing assignments and I have some thoughts. This version of Sherlock is fantastic. Jonny Lee Miller gives a fantastic performance every episode. Sherlock as a recovering drug addict adds so many layers to the character and it’s always something that can be returned to and built on in future episodes. It also sincerely tackles the topic of drug use while also providing a variety of characters who live with it. Sherlock also tries to learn about friendship which is just a beautiful sight to see. 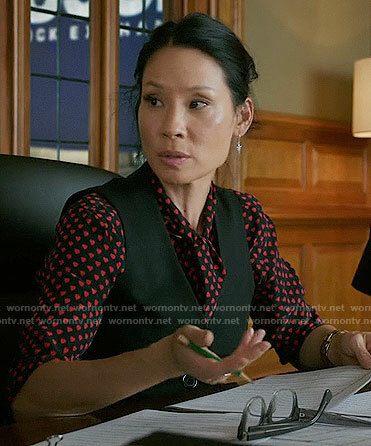 Sherlock is great but Lucy Liu’s Joan Watson is what gives this spin on Sir Arthur Conan Doyle’s creation its edge. She’s lovely, smart, badass and fashionable. If I knew anything about fashion, I’d write an article on how Joan’s clothing throughout the series mirrors her arcs and overall growth and there are a ton of blogs dedicated to just Joan’s clothing. There’s a lot of Diversity. Yes, yes. John Watson became Joan Watson played by an Asian-American actress but beyond that, the show has been great about surrounding Sherlock and Joan with diverse characters like Alfredo, Detective Bell, Ms. Hudson, Fiona etc That ease in which diverse casting is implemented on the show is great. Clyde is the mascot of the show and an important member of team Holmes and Watson. He’s the best. Look at the gif below for proof. I’ve finished season 3 in my rewatch. I think it’s the weakest so far because it feels like two separate seasons but I can talk about that later. Right now, I’m off to spend my last day of the semester with my classmates.